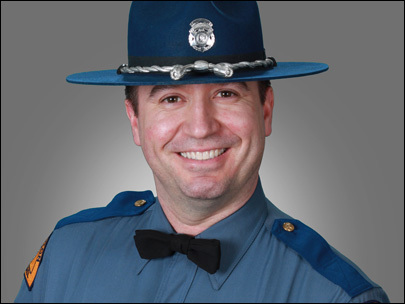 Trooper Tony Radulescu was shot and killed while making a traffic stop on a driver of a pickup truck on State Route 16, at Anderson Hill Road, in Gorst, shortly before 1:00 am. He had radioed in his location along with the pickup truck's license plate and description to dispatchers. Dispatchers were unable to contact him again and a Kitsap County sheriff's deputy was sent to check on his status. The deputy discovered him laying near his patrol car suffering from a gunshot wound. He was transported to St. Joseph Medical Center in Tacoma where he was pronounced dead. It was later determined that he had conducted a passenger side approach of the pickup truck. The driver, a convicted felon, had told his female passenger to lean her seat back, and as Trooper Radulescu came to the window the driver leaned over and shot him. The vehicle that Trooper Radulescu had stopped was found abandoned on a country road approximately three hours later. A SWAT team was deployed to the registered owner's home and, as they approached, the suspect committed suicide. The passenger in the vehicle was sentenced to one year in prison on charges connected to the shooting. 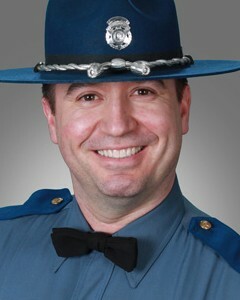 Trooper Radulescu was a U.S. Army veteran and had served with the Washington State Patrol for 16 years. He is survived by his son. Thank you for your selfless service in protecting citizens of the State of Washington.